The Eclipse Foundation has been a partner in many publicly funded research projects since 2013. We help organizations to successfully create, publish, and sustain an open source software platform, making the results of the research projects available for commercial or public exploitation. Learn more about both current and successfully completed projects where we have partnered. Academics bring new innovations that enable better productivity and new processes in large organizations. 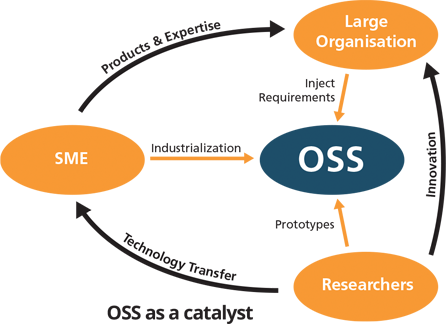 SMEs industrialize the innovation transferred through open source projects to support a product-based or expertise-based business model. 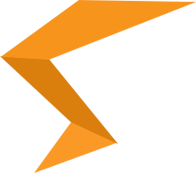 The Eclipse Foundation experts enable the research team to create, evolve and maintain open source software projects that capture the results of the research. The proven processes of the Eclipse Foundation and services for IP management and community building assist the research partners throughout the lifecycle of the research project. They ensure that the open source code can be used at any given time for research or commercial exploitation. These processes are set out in the Eclipse Foundation governance model, the Eclipse Development Process and the Eclipse IP management practices. In addition, all code is made available under the Eclipse Public License, a commercial-friendly Open Source license approved by the Open Source Initiative. Exploitation is driven by availability, open governance, quality, and IP cleanliness. Providing the platform under an OSS license such as the Eclipse Public License supports these goals very well. Users and adopters can trust the open governance model that provides a level playing field and commercial exploitation under this business-friendly open source license. The Eclipse IP process ensures that the IP created is tracked and properly managed. In some industries, platforms and tools must be available for a lifecycle of well over 20 years. With the experience of the Eclipse Foundation and the Eclipse ecosystem, it is possible to provide long-term support and design the platform in a way that allows for continuous and open innovation. Industrial applications require measurable indicators of project maturity. The Eclipse Foundation deploys assessment processes and tools in Polarsys to help members evaluate the maturity of Eclipse projects and to support projects in achieving higher maturity levels. 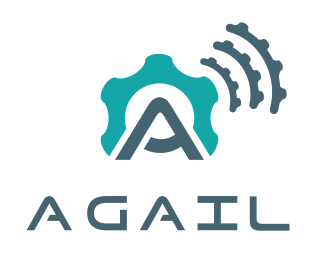 The Eclipse Agail is a language-agnostic, modular software and hardware gateway framework for the Internet of Things with support for protocol interoperability, device and data management, IoT application execution, trusted data sharing and external Cloud communication. OpenCert is a customizable safety assurance and certification tool environment integrated into existing manufacturers’ development and safety assurance processes and tooling. Software engineers spend most of their time learning to understand the software they maintain or depend on (or will depend on). The goal of this learning process is to support decision-making. In this project, we focus on the increasing dependence on open-source software (OSS) over the last years and the decisions related to depending on open-source software. Eclipse CROSSMETER will support the eﬃcient and eﬀective decision-making regarding dependence on OSS projects and components thereof. This entails both decisions on the architecture level (to decide to select and OSS project) and on the code level (to design the use of the OSS project). In particular, CROSSMETER will provide techniques and tools for extracting knowledge from existing open source components, and use such knowledge to properly select and reuse existing software to develop new systems. The activity of the developer will be continuously monitored in order to raise alerts related to the quality of the selected OSS projects and to give suggestions that can reduce the development eﬀort and increase the quality of the ﬁnal software products. Because today's software-intensive automotive systems are still developed in silos by each car manufacturer or OEM in-house, long-term challenges in the industry are yet unresolved. Establishing a standard for car-to-cloud scenarios significantly improves comprehensive domain-related development activities and opens the market to external applications, service provider, and the use of open source software wherever possible without compromising security. Connectivity, OTA maintenance, automated driving, electric mobility, and related approaches increasingly demand technical innovations applicable across automotive players. 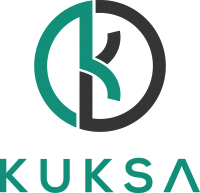 The open and secure Eclipse Kuksa project will contain a cloud platform that interconnects a wide range of vehicles to the cloud via in-car and internet connections. 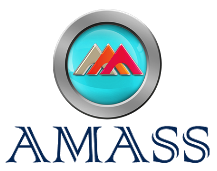 This platform will be supported by an integrated open source software development environment including technologies to cope especially with software challenges for vehicles designed in the IoT, Cloud, and digital era. 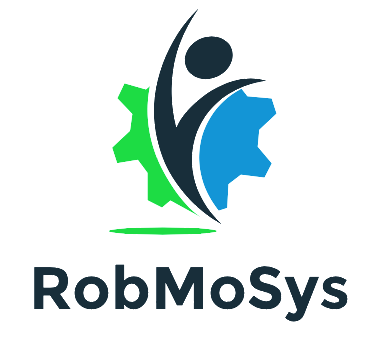 The goal of the BaSys project is to provide virtual middleware for industrial automation which implements Industry 4.0 concepts leading to efficient changeability and adaptability in production processes. The platform will accomplish this by enabling the networking and integration of existing technologies such as OPC-UA and oneM2M. BRAIN-IoT looks at heterogeneous IoT scenarios where instances of IoT architectures can be built dynamically combining and federating a distributed set of IoT services, IoT platforms and other enabling functionalities made available in marketplaces and accessible by means of open and standard IoT APIs and protocols. 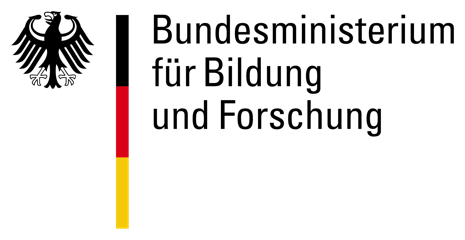 PDP4E is an innovation action that will provide software and system engineers with methods and software tools to systematically apply data protection principles in the projects they carry out, so that the products they create comply with the General Data Protection Regulation (GDPR), thus bringing the principles of Privacy and Data Protection by Design to practice. 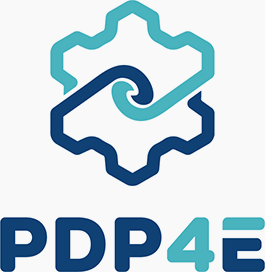 PDP4E will integrate privacy and data protection engineering functionalities into existent, mainstream software tools that are already in use by engineers, focusing on open-source tools that will be integrated in the Eclipse ecosystem, The approach will integrate methods proposed by the privacy engineering community (e.g. LINDDUN, ISO/IEC 27550 Privacy engineering), and the industry of software and system engineering tools (e.g. MUSE, PAPYRUS or OpenCert) using a model driven engineering approach. PDP4E will introduce privacy and data protection into software and system engineering disciplines (Risk Management, Requirements Engineering, Model-Driven Design, and Assurance), which drive the everyday activities of engineers. One of the outstanding results of OPEES is the creation of PolarSys, the Eclipse Working Group for open source tools for embedded systems. The growing PolarSys community of members includes Airbus, CEA LIST, Ericsson, Thales, and several SMEs. Projects provide open source solutions for systems engineering, from requirements engineering to verification and validation, including development and debug.